Strong, general-purpose tape with pressure-sensitive poly material resists abrasions and splitting. 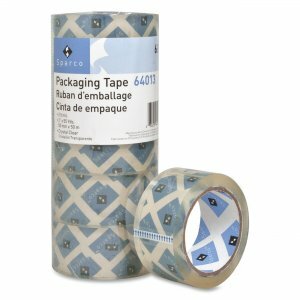 Tape conforms to box surfaces to keep out moisture, dust and dirt. Design includes a 3" core and 2.5 mil thickness.